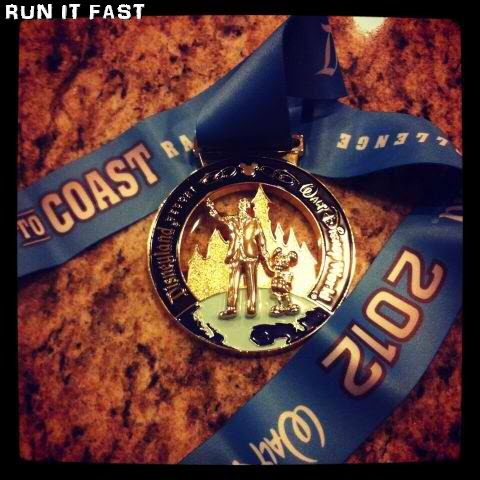 This is the runDisney Coast to Coast Challenge Medal for 2012. East Coast – Walt Disney World Half Marathon/Marathon, the Princess Half Marathon, and the Wine & Dine Half Marathon. West Coast – Disneyland Half Marathon and the Tinkerbell Half Marathon. Congratulations to Teal and Beth of @LifeisaRun who completed the Princess Half Marathon and the Disneyland Half Marathon this year to earn this awesome medal!